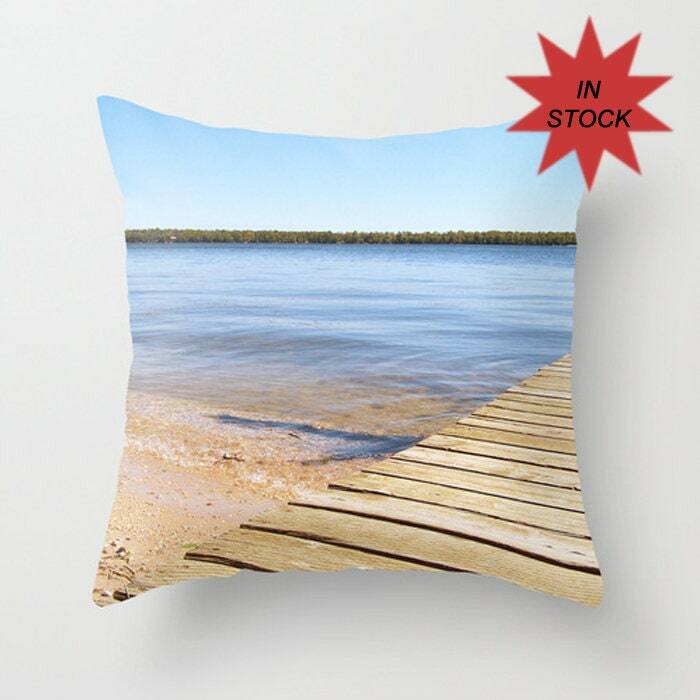 Decorative beach house throw pillow cover makes for a great reminder on the couch of your summer vacation! To purchase, choose size and quantity on right side and ADD TO CART! All my pillow covers are made from my original photographs and then sewn by me to ensure you're receiving a quality handmade item! Pillow cover finished size measures one inch smaller so the cover is a beautiful snug fit! Please convo for custom order if you'd like a different size than listed. Throw pillow made from 100% cotton with sateen finish on front, a stylish statement that will liven up any room. Care of pillow covers is hand wash and lay flat to dry. Hidden zipper for ease of insert removal for cleaning. Pillow insert not included. Pillows available in standard sizes. Color may vary slightly from one monitor to another. Copyright © – Crystal Gayle Photography All work contained herein is copyrighted and owned by Crystal Zacharias. Any reproduction, publication, modification, transmission or exploitation of any of the images for personal or commercial use without written permission from Crystal Gayle Photography is Prohibited. All rights reserved. This is a beautiful photo! It’s a gift for my brother-in-law and I think he’ll love it! Photography is beautiful. Nice pillow case. Custom and personalized orders include any orders that are not ready to ship items. All pillow covers are made to be a snug fit, therefore they are slightly smaller than actual pillow size. To order other sizes, please message me before purchasing. Care of pillow covers is hand wash with cold water and lay flat to dry. Care instructions are on every pillow cover on the inside tag as well. All custom order pillow covers are shipped with tracking. If you would prefer a cheaper shipping option, please message me and I will try to accommodate with another option. 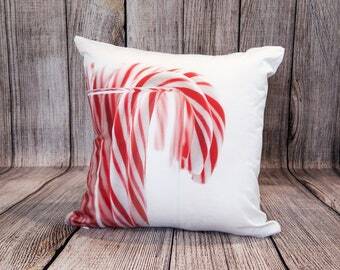 Festive Home Decor, Holiday Decorative Pillow Case, Red and White Christmas Photo Cushion Cover, Candy Cane, Handmade Gift for Boss, 18x18"